Ray J and Malia Obama have been at the center of a bizarre, secret text message-based rumor over the past few days, and it's gotten so out of hand that Ray himself took to Instagram to address the stories. Why was Ray J texting Malia Obama? Isn't he getting married in just a few days? For the answers, read on! 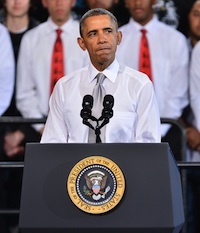 President Obama commented both directly and indirectly on the Bill Cosby controversy when he answered a question about revoking Cosby's Presidential Medal of Freedom. No such award has ever been taken back. Obama gave a general answer about the Medal, and a blunt one about the behavior of which Cosby has been accused. Read on to see the video. President Obama delivered a sharp rebuke to a man who heckled him at a White House event for LGBT Pride Month. Check out his deft handling of the situation. 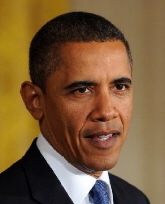 Obama became the first president in generations to use the word publicly when he appeared on comedian Marc Maron's WTF podcast. 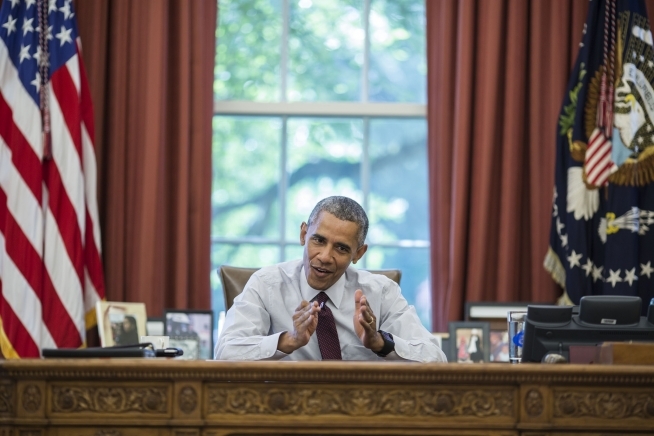 Reaction to President Obama's use was varied, but drew praise from many corners. 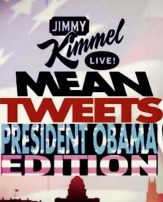 On last night's Jimmy Kimmel Live, a very special guest showed up to read mean tweets– President Barack Obama. Check out the video of Obama reading some hateful yet hilarious things tweeters have said about him. Obama dropped by Vedder's pad while on Christmas vacation in the 50th state. The Pearl Jam frontman has long supported the current President.